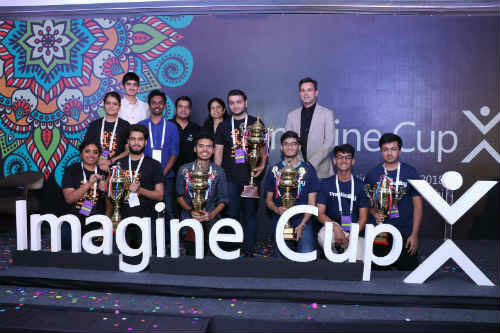 New Delhi: Microsoft India today concluded the 16th edition of Imagine Cup and announced RealVol, DrugSafe, and Practikality as winners of the India Chapter. These student teams will represent India at the Imagine Cup finals in U.S.A. and compete for $100,000 prize money and a mentoring session with Satya Nadella. The premier competition allows student developers to use their creativity and passion to solve real world problems and turn their ideas into reality. 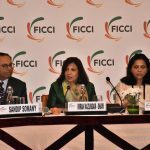 This year’s India leg also underscored the rising interest for Artificial Intelligence (AI) and related technologies like Cognitive Services and Chatbots among Indian students. 60 percent of the entries received from the participants were solutions powered by AI. RealVol features a virtual reality based immersive view inside a CT or MRI scan, where a user can navigate the 3D scan of a human body. DrugSafe was ideated to mitigate counterfeit medicine growth in the market. Using multi-layered checks in the DrugSafe app, a consumer can verify validity of a drug. Practikality is a machine learning based assistant to help the differently abled communicate efficiently. The app serves as voice for the mute, listening tool for the deaf and vision for the blind. This year’s Imagine Cup also witnessed an increased participation from girl students, elevating the diversity ratio of the contest to 64 percent. There was also a 29 percent increase in accessibility related projects. With an outreach to key 50+ campuses from 10+ states like Rajasthan, Punjab, Andhra Pradesh, Uttar Pradesh, Haryana, Gujarat, Madhya Pradesh, etc Imagine Camps have impacted 10,000+ students across India. · Imagine Better: The project initiated by the students of GIMT- Guwahati; Techno India- Kolkata and JSSATE- Noida uses extensive Machine Learning to help users in identifying Fake News. · Inspirata: Developed by the students of IIT Delhi, it is a bot that helps people fight depression by automatically identifying depressed and sad people on social media and engaging them with encouraging conversations. · Saarthi: The real time translation technology by the students of Manipal Institute of Technology uses gesture recognition and machine learning to convert sign language to spoken language. Saarthi solves communication challenges for deaf and mute people. · FunSchool is a mobile Augmented Reality application that aims at making learning a fun and interactive experience for kids. The application contains a collection of lessons that have been gamified using technologies like Mobile Augmented Reality, Cloud Computing and Artificial Intelligence. · BIVIDA: Built by the students of Manav Rachna International University, it is a Blockchain and AI powered Open Data Platform for tenders that opens up public contracting through disclosure, data, and engagement providing transparency, accountability and improved efficiency in the process of tendering and procurement. Over the past ten years, more than 1.65 million students from more than 190 countries have participated in the Imagine Cup. From the APAC region nearly 380,000 students have competed in the Imagine Cup in the past five years.